He played 147 ODIs, scoring 5238 runs at an average of 39.68 and a strike-rate of 85.25. He also featured in 37 T20Is. 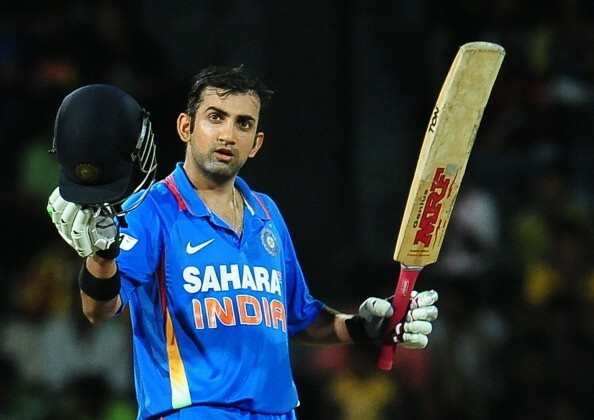 Gautam Gambhir has announced his retirement from cricket. The cricketer was an integral member of the two World Cup winning squads in 2007 and 2011. His last appearance for India came in the first Test of the home series against England in late 2016. In a career which spanned for over two decades, he played 58 Tests, scoring 4154 runs, at an average of 41.95, including nine centuries and 22 fifties. The left-hander posted an emotional video on his Facebook page which summarized his entire career, the struggles and his achievements. This may sound a little wishful but then I have seen wishes do come true. Two World Cups, highest run-getter in finals of both these games is a stuff dreams are made of and I only had this dream of winning the World Cup for you all. I think someone up there was writing my script but looks like now he has ran out of his ink! Let me address you all as PARTNERS, the partners without which Indian cricket is a body without its soul. A big thanks for supporting me and the teams that I played for. A special thanks to all my Partners from Kolkata. We both wear our hearts on our sleeve. We both are very demanding and play with extreme passion, may be that is why my love affair with Kolkata will continue forever. Former Australia opening batsman Justin Langer was a huge help too. I turned to him in 2015 for some advise. I got that in plenty and some really heavy praises. "JL, I don't know if you meant that I have the hands of Brian Lara but I thank you nevertheless. And tell your wife Sue that she does some amazing butter chicken." To my dear darling sister Ektaa – sorry for not being there on most Rakhis. I am also sorry if I was always seeking attention from you. I am sure I have given you some bragging rights. To my dear, dear friends Vivek and Dinesh – Thanks a lot for being there and praying for me. I am lucky to have you as friends. Especially Dinesh to have taken all the nonsense. At some stage I would like to shed the retired cricketers tag and would like to recycle myself to be useful for something else in cricket and beyond. Lets see. Currently my immediate worry is that I have to take my elder daughter Aazeen to buy a yellow dress and the younger one Anaiza wants to play with her best friends, the dogs.